An old man and his dog were walking along a country road, enjoying the scenery, when it suddenly occurred to the man that he had died. 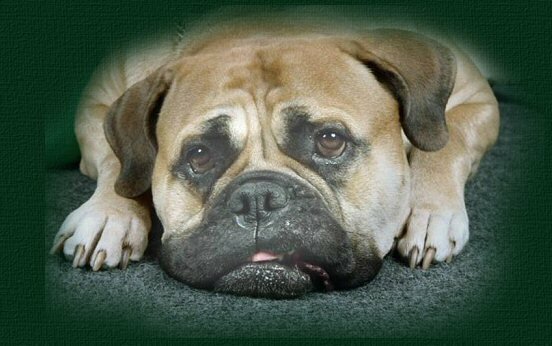 He remembered dying, and realized, too, that the dog had been dead for many years. He wondered where the road would lead them, and continued onward. After a while, they came to a high, white stone wall along one side of the road. It looked like fine marble. At the top of a long hill, it was broken by a tall, white arch that gleamed in the sunlight. When he was standing before it, he saw a magnificent gate in the arch that looked like mother of pearl, and the street that led to the gate looked like pure gold. He was pleased that he had finally arrived at heaven, and the man and his dog walked toward the gate. As he got closer, he saw someone sitting at a beautifully carved desk off to one side. When he was close enough, he called out, "Excuse me, but is this heaven?" "Yes, it is, sir," the man answered. "Of course, sir. Come right in, and I'll have some ice water brought right up." The gatekeeper gestured to his rear, and the huge gate began to open. "I assume my friend can come in..." the man said, gesturing toward his dog. But the reply was, "I'm sorry, sir, but we don't accept pets." The man thought about it, then thanked the gatekeeper, turned back toward the road, and continued in the direction he had been going. After another long walk, he reached the top of another long hill, and he came to a dirt road which led through a farm gate. There was no fence, and it looked as if the gate had never been closed, as grass had grown up around it. As he approached the gate, he saw a man just inside, sitting in the shade of a tree reading a book. "Excuse me!" he called to the reader. "Do you have any water?" "Yeah, sure, there's a well over there," the man said, pointing to a place that couldn't be seen from outside the gate. "Come on in and make yourself at home." "He's welcome too, and there's a bowl by the well," he said. They walked through the gate and, sure enough, there was an old-fashioned well and a bowl next to it on the ground. The man filled the bowl for his dog, and then took a long drink himself. When both were satisfied, he and the dog walked back toward the man, who was sitting under the tree waiting for them, and asked, "What do you call this place?" the traveler asked. "Doesn't it offend you for them to use the name of heaven like that?" "No. I can see how you might think so, but it actually saves us a lot of time. They screen out the people who are willing to leave their best friends behind." 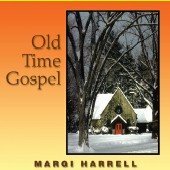 The song "Amazing Grace" was performed by Margi Harrell and featured on Old Time Gospel CD.